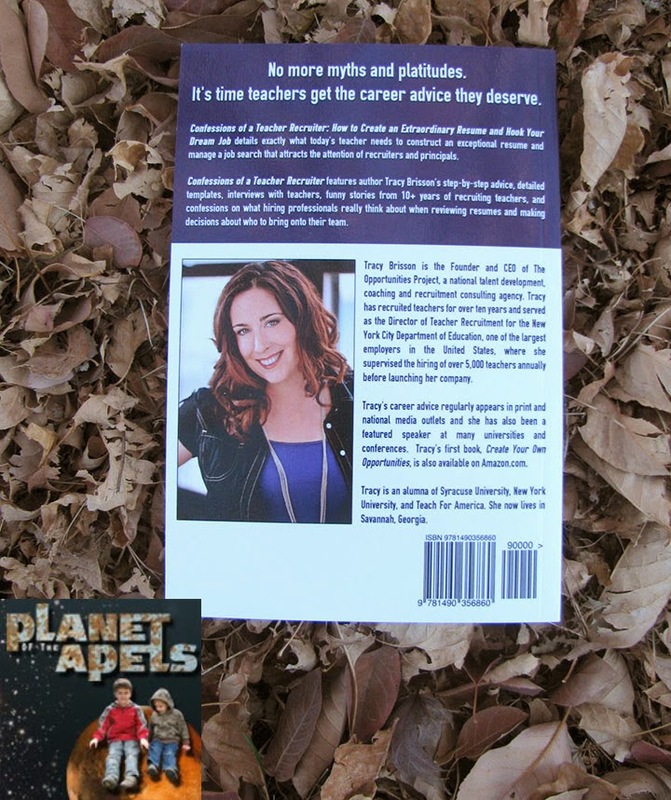 Confessions of a Teacher Recruiter: How to Create an Extraordinary Resume and Hook Your Dream Job Review and Giveaway! 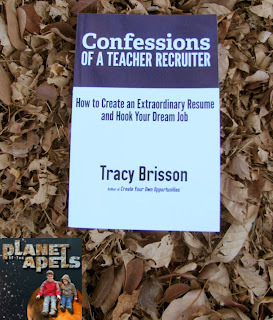 I had a chance to review a book called Confessions of a Teacher Recruiter: How to Create an Extraordinary Resume and Hook Your Dream Job By: Tracy Brisson. It can be found on Amazon on paperback for $13.99 and Kindle for $9.99. I'm always in a search for good books that will help my college students out. I teach their last portfolio class. Their resumes should be ready to go. Last year I took a look at them, and found errors. Mostly it was programs that they spelled wrong. Programs are not in their spell check. To defend my students programs are often times spelled oddly: QuarkXPress, InDesign, PowerPoint, Illustrator, Photoshop and more. Some are one word, some are two, and others throw a capital letter in the middle. There is no excuse for errors. The programs are right on their computer's dock. I've had students argue with me about how they think a resume is not needed in our field. Their argument is that their portfolio should speak for its self. I know better. If a Creative Director, or Art Director were to be hiring them sure they mainly look at their portfolio. If someone for the HR department was in charge of hiring they look strongly at their resume, and their portfolio comes second. Confessions of a Teacher Recruiter: How to Create an Extraordinary Resume and Hook Your Dream Job will help me assist my students to manage a job search that attracts the attention of HR departments, top managers, and in my student's case top creative and art directors. It features step-by-step pointers, detailed templates, interviews with instructors, eye opening stories from 13 years of recruiting teachers, and confessions on what hiring professionals really think about when reviewing resumes. The book came out in June 2013. It's been on Amazon's top 25 list of bestselling resume advice books many times. I like that the book gets down to business. Some of the things I already talk to my students about. That's not a bad thing. It just let me know that I need to keep discussing those things. I like that there is a check off section towards the end of the book. The writer Tracy Brisson is the founder and CEO of The Opportunities Project, a national talent development, coaching and recruitment consulting agency, and a recognized career coach, recruitment expert, and author. Kind of random, but I noticed that the writer lives in Savannah, Georgia. That's where I went to grad school. Such a pretty, blooming place. Like Confessions of a Teacher Recruiter: How to Create an Extraordinary Resume and Hook Your Dream Job on Facebook, follow on Twitter to keep up with their latest news. Purchase the book on Amazon, or read on Goodreads. Win the book Confessions of a Teacher Recruiter: How to Create an Extraordinary Resume and Hook Your Dream Job! Sounds like a good resource. Who couldn't use a little resume help from time to time? I agree with the others! A good resume is definitely needed to get your foot in the door to a good job. That's always the first impression an employer gets! I am not looking for a job but this would be great if I was. I guess the part I would not like about looking for a job, is talking to the employer. I actually enjoy searching for jobs, its an interesting process. If I were unemployed, I'm sure it would be a different story. The anticipation is difficult to handle sometimes, but I like it.